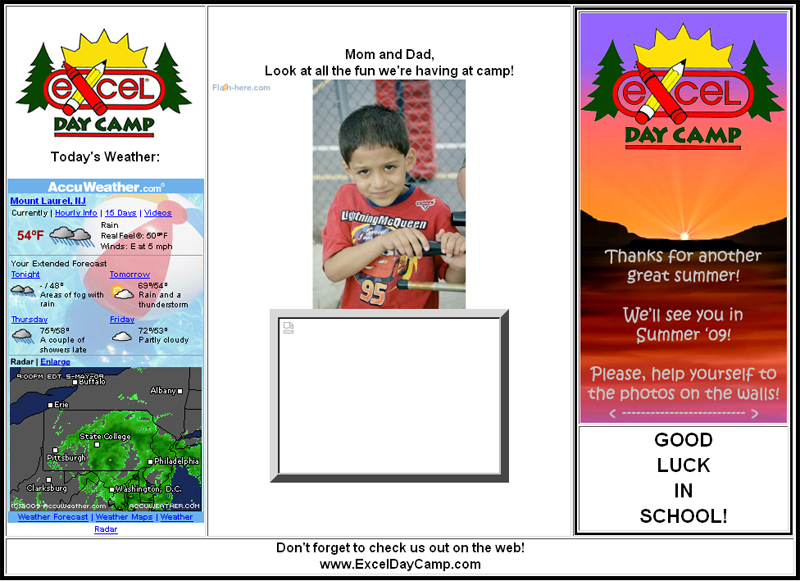 Digital Signage for Excel Day Camp – This digital signage is a web-app built for Excel Day Camp. The digital signage is displayed on a 32″ display within Excel Day Camp’s lobby. The webapp shows campers & visitors the current weather for the day, upcoming events, a live webcam feed of the outdoor activity area, as well as a real-time photo stream of photos taken throughout the weeks at the Day Camp.